We had a lovely meeting on Wednesday, where we were a little bit divided on Mother’s Milk; it seemed that those who had read the preceeding trilogy had a lot more sympathy for Patrick, whereas those who hadn’t found him an irritating 40 something going through a mid life crisis. 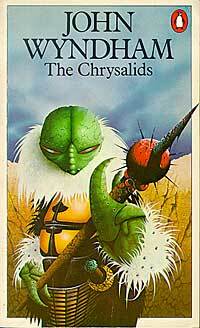 Book(s) to read for next time are: Cats Cradle by the late great Kurt Vonnegurt and The Chrysalids by John Wyndham. Next meeting is in three weeks time on Wednesday the 30th of May in the Hope and Anchor again – hopefully this time we’ll make it into the award winning garden to be over/underwhelmed.